Tolteca is a vegan and comitted brand. As a vegan brand we wanted to create a militant company. We want to reconcile entrepreneurship and veganism and to transform the purchase of a perfume into a committed action which positively impacts the world. Our consumer attitudes impacts the world, we can foster changes and exercice a positive impact by changing the way of doing business and with a new consumption model. For this purpose, we have created a participative charitable program: Stand up for life with Tolteca in which we commit ourselves to donate 20% of our profits every year to support animal and environmental protection organizations. It’s the beginning of the adventure, everything has to be done and built together! In the meantime, this year we will be collecting the first Euros of the Stand up for Life program thanks to the sale of a collection of 6 postcards (now available on line) for which the full sale price will be donated. For a postcard sold € 1.50, € 1.50 will be donated. You can be active and participate fully in this program by following our facebook page @parfumstolteca. We want everyone to choose, submit projects, give their opinion, comment, vote, etc. 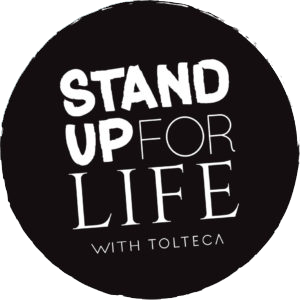 Visit facebook for more information or write at Standupforlife@tolteca.com to submit ideas or projects.